In the beginning, usually no one knows it is the beginning. 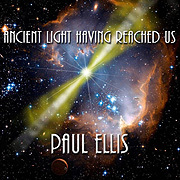 At the outset of Ancient Light Having Reached Us (68'57") synthesist Paul Ellis must have pondered this thought... as he began tracing an arched void. If this album prompts the listener to probe for meaning, then it has done its job. Providing spectacular twists, spatial distortions and a heroic resistance to convention, Ellis appreciates the qualities of simplicity, directness and raw energy. Stark tones and strong atmospheres provide stability, but not structure. An energizing brightness, followed by tumultuous, tortured, towering masses of tone, find sounds shifting out of their proper place and scale. We can hear individual notes, and the disparate pockets of space that they occupy. A procession of foreboding strings plays an electronic elegy, against swelling, trembling effects. A penetrating bass underscores a dancing arpeggio down from the upper register. Sustaining fields expand and recede beneath surreal modulations. These are not random events. The use of off-kilter arrangements and subtle contrasts of tone and texture show Ellis to be quite meticulous and precise. 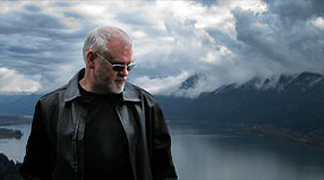 The four tracks contained on this album take the way of the thinker, for someone seeking a quieter action. It may seem like Paul Ellis is playing with ambiguity, but it could also be that Ancient Light Having Reached Us is a true and proper expression - given by the precise organization of forms and symbols. This music is of a higher and more creative order, one meant to explore expressive possibilities, and the regeneration of the person.